The urn is finished with natural wood finishes (tung & linseed oils and beeswax), and it is appropriate for an eco-friendly burial of a loved one’s ashes, especially if the loved one was not embalmed or was embalmed with non-toxic chemicals. I also added a few extra touches to the box itself, such as hand-cut dove tail joints (see the previous two blogs for photos of this). A perfectly fitted hand-cut dove tail joint is one benchmark of a true craftsman, and I wanted to challenge myself to see if I could pull it off on such a special piece. I did a lot of practicing on spare bits of wood, and I built a full test box out of pine before I was confident enough in my technique to try it on the memorial urn box. 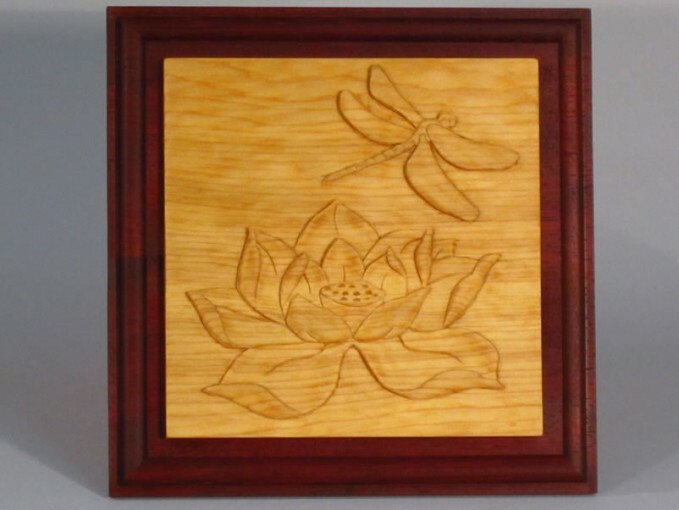 A few days before she passed, my friend made a point of telling me how much she believed in me — my art and my woodworking. I wanted to honour her confidence in me by trying new carpentry and carving skills on this box that will hold her ashes. Blessed journey, my friend.